The former village of Sarehole was the childhood home of J R R Tolkien. 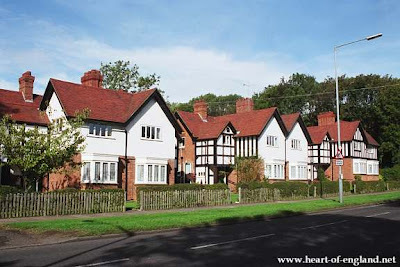 He lived at 5 Gracewell Road, which is the centre of the group of houses shown here. 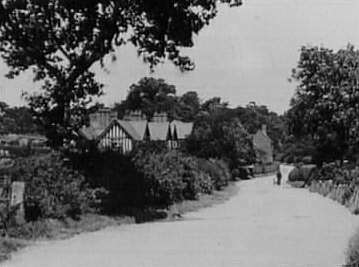 In the 1930's this was a quiet village in the Warwickshire countryside. 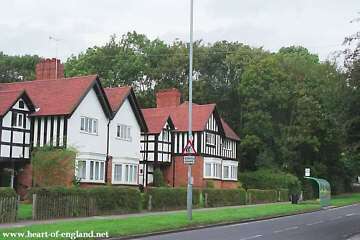 The area around Sarehole is now built-up and forms part of the Hall Green district of Birmingham. Gracewell Road is now called Wake Green Road. This picture shows the large wooded area, Moseley Bog, which is immediately behind the houses in Gracewell Road. This photo is a view inside the wood. This wilderness extends back for about half a mile, although it is quite narrow in width. 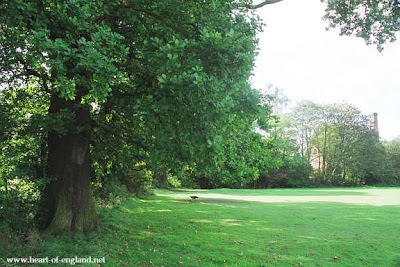 It is claimed that playing in this wood gave Tolkien the inspiration for the Old Forest. This pond, in a dell, is at the end of Moseley Bog near to Gracewell Road. These mature oak trees are on the bank which is immediately behind the houses in Gracewell Road. 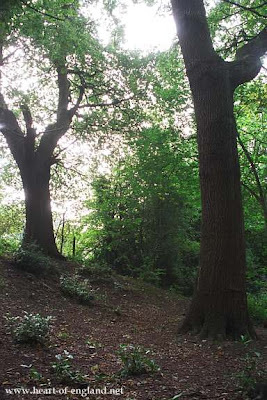 Tolkien would have certainly played around these oaks. Moseley Bog is now administred by the Birmingham Wildlife Trust as a nature reserve. 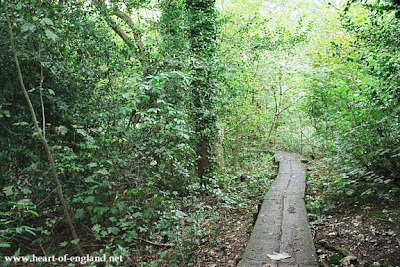 The entrance into Moseley Bog is not easy to find (it's hard to find your way in and out! 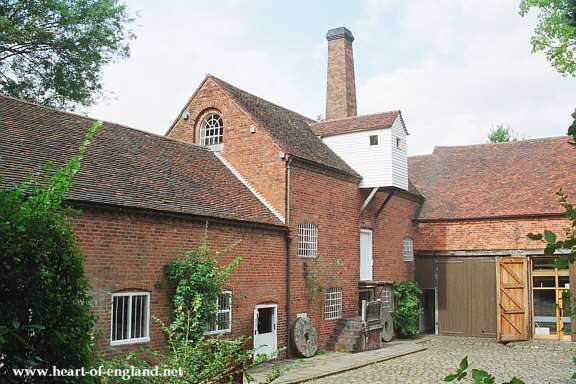 ), but the helpful staff at the Sarehole Mill (see below) will give visitors a free map showing the entrance and paths. This is another view along Gracewell Road. The houses in Gracewell Road are visible at the left of the picture. 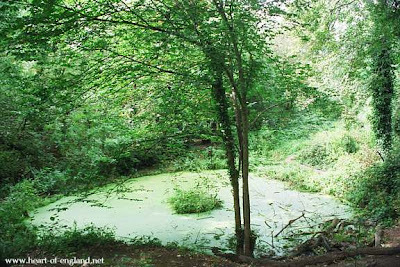 In the right foreground is another wild area, which is part of the Sarehole Mill Millpond. 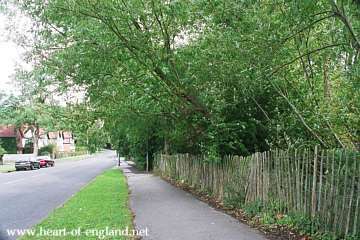 This is approximately the same view, showing the road as it was when Tolkien grew up here. 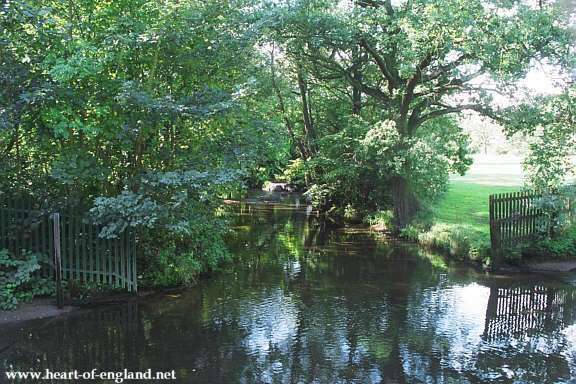 In the distance, a road on the right leads down to a very attractive ford over the River Cole, and another very nice place to play. 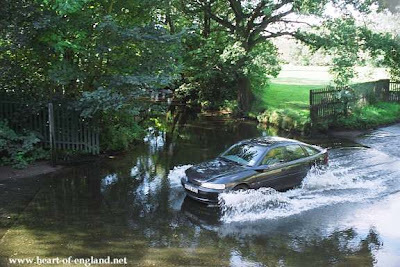 This is the Ford over the River Cole. Here the road crosses the River Cole. Gracewell Road is up the road to the right. At times of exceptional rain the ford can become very deep. At the far left of the picture, in front of the fence, is a vertical post. This has graduations marked on it to mark the water levels. The markings go up to 6 feet. 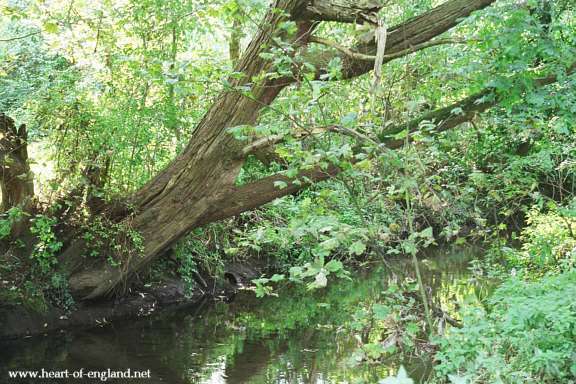 The length of the River Cole, for a couple of miles, is preserved as a nature and recreational walkway, called the Millstream Way. 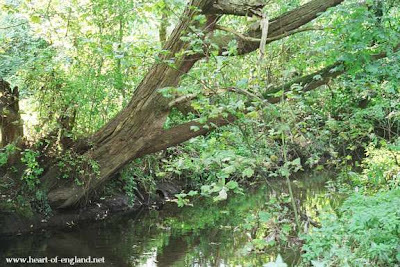 The River Cole runs behind the mature oak trees at the left of the picture. Gracewell Road lies to the right of the picture (out of shot). The building in the right background is Sarehole Mill. 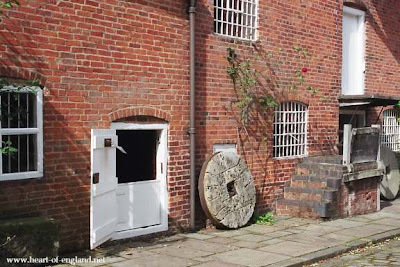 The outside of Sarehole Mill is concealed by trees on all sides. This is the Mill Yard. Sarehole Mill is open to the public, as a museum showing how a water mill operated. There are also some Tolkien-related leaflets available in the small shop. 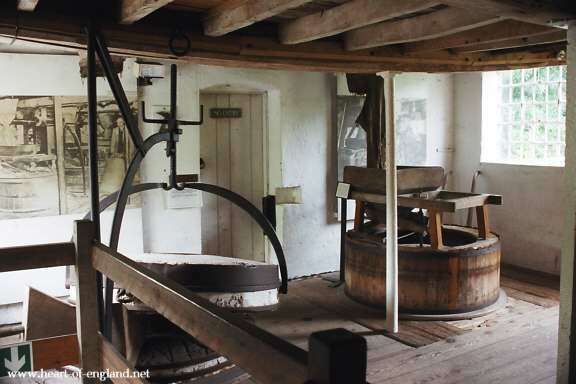 This is a view of some of the machinery inside the Mill buildings. 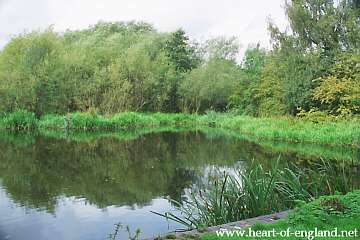 This is the Mill Pond. 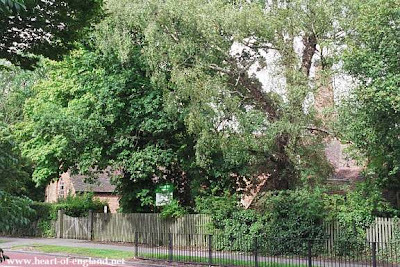 Gracewell Road lies just the other side of the trees.